The mid-sized Spyderco Tenacious C122GBBKP has a black finished blade with a plain edge and a brown G-10 handle. Tucked inside are skeletonized steel liners increasing the handle’s rigidity and strength without adding non-functioning weight or bulky thickness. The 8Cr13Mov stainless blade is leaf-shaped and ground flat from spine to cutting edge for cutting performance. The blade’s shape coupled with an over sized Spyderco Round Hole and textured spine jimping allow you to open the blade and position your thumb on the spine in slip-proof confidence ready for work. A Walker Linerlock (with jimped liner) and a 4-way pocket clip lets you set your carry and draw preference: Tip-up/tip-down left-hand/right-hand. Screw together construction. One of the first knives I've bought, and it's the only one I carry anymore! It's built like a tank! I was showing it to one of my friends and he dropped it tip down onto concrete, but it deformed the tip a bit but everything else was completely fine. This knife has always been ready to go every time. The steel isn't bad, but it isn't great. I'm still learning how to make a good edge, so it's a good practice for me. I highly recommend this knife. I’ve used quite a few spydercos so I decided to pick this one up for myself. It’s absolutely amazing for the price. The action is great and just an amazing knife. Just have to keep it sharp. I really love Spyderco. ThisTenacious knife stays in my pocket at all times. I work on my car and bike using it for cutting, stabbing, and trimming everything. i will by another if I break or lose it. It's a keeper. 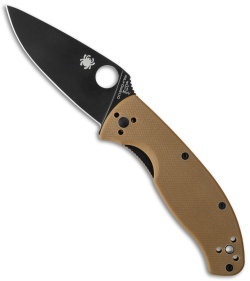 I love this knife, for my birthday this year my dad took me up to golden and let me choose a good budget knife. We finally decided on the Tenacious. I have been using it for about 6 months now and it could never be better. It came razor sharp out of the box and has no where on the knife, the action is still good and the G-10 is holding up nicely. Overall, GREAT KNIFE! Great knife if you have bigger hands. The size of the spyder hole makes it super easy to find if you wear mechanics gloves. Really sharp out of the box. Overall, amazing knife for the money. What more can you say for the Tenacious? It's been tried and true for years now, and this version is no exception. You would be VERY hard pressed to get more knife for your money. The ergonomics are fantastic, once broken in its buttery smooth, rides very well in pocket and the pocket clip is wonderful to use. 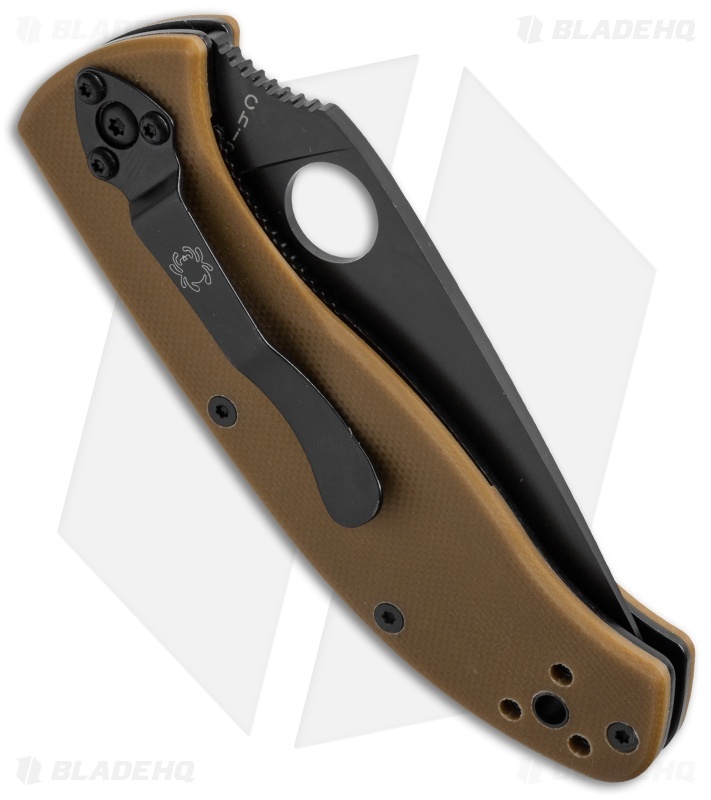 The only thing I would change about this knife is the blade steel that is used, but 8CR13 is fine for this price point. Bottom line is you could pay a lot more for a lot less knife elsewhere.